Designating the Islamic Revolutionary Guard Corps as a “terrorist” organisation could push reformists to the sidelines. 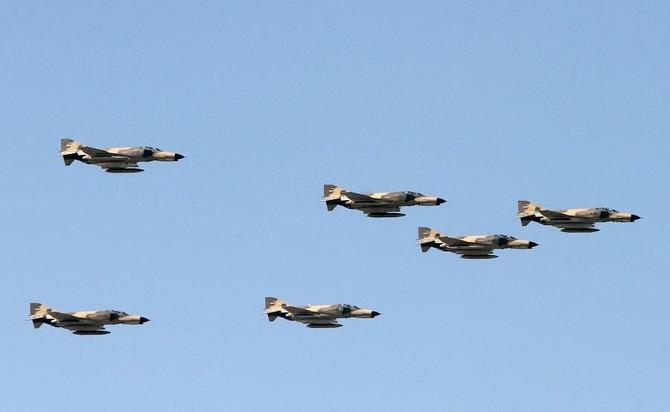 The US decision to designate Iran’s military as a terrorist group would do little to curtail Tehran’s influence in the region and instead end up strengthening the hardliners, experts say. In an unprecedented move, Washington has listed the Islamic Revolutionary Guard Corps among sanctioned organisations alongside Daesh and Al Qaeda, the first time any country’s military has been targeted in such a way. The IRGC has been under US sanctions for years with its senior officials and affiliated entities facing financial and travel restrictions, but calling them a terrorist organisation is a big leap. “I don’t see any practical difference resulting from this decision. The penalties on the IRGC are already enforced. I do not see any additional financial pressure being put on the IRGC,” Kenneth Katzman, an Iran expert at the non-partisan Congressional Research Services, told TRT World. US President Donald Trump has ratcheted up economic pressure on the Islamic republic since last year when he pulled out of a landmark nuclear deal Iran and major powers had reached in 2015. The announcement comes at a bad time for Iranian moderates, including President Hassan Rouhani, who have been trying to reduce the role of religious hardliners, including the members of IRGC. “One of the consequences of all this is that in the next presidential elections someone close to the IRGC may come to power,” Fereshteh Sadeghi, a Tehran-based journalist, told TRT World. Since coming to power in 2013, Rouhani and his supporters have tried to limit IRGC’s influence. Like other state institutions, the IRGC plays a sizeable role in Iran’s economy, running its own fully functioning bank and one of the biggest construction companies in the country. It also influences Iran’s foreign policy such as decisions around its intervention in Syria, something that reportedly prompted Iran’s foreign minister, Javad Zarif, to resign earlier this year; Rouhani didn’t accept his resignation. The decision on IRGC coincides with massive floods in southern Iran, where at least 70 people have been killed and tens of thousands displaced. The Iranian military is playing a critical role in relief activities. Iranian people are already feeling the burden of sanctions in the shape of high inflation and shortage of food and medicines. “From now on for some time [Iranian] people won’t trust the West,” says Sadeghi, referring to the delay in the implementation of the European Union’s financial mechanism to circumvent US sanctions. Some European governments that do not agree with the Trump administration’s approach have been trying to convince their companies to do business with Iran. “Iran is disappointed with Europe, and I don’t think there will be any Iranian cooperation with them on this issue to start with,” says Foad Izadi, a professor of political science at Tehran University.